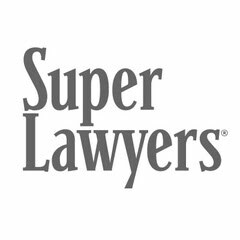 Maryland Super Lawyers is a listing of the top five percent of lawyers in the state who have attained a high degree of peer recognition and professional achievement. The multi-step process involved soliciting nominations from attorneys across the state (lawyers were not allowed to vote for themselves), followed by a thorough case-by-case review of each nominee. Maryland Rising Stars recognizes outstanding attorneys who are 40 or under, or who have been practicing for 10 years or less. No more than 2.5% of Maryland lawyers are named to this list. Dondi West counsels and represents clients on matters related to Technology, Business, Cybersecurity, National Security Affairs, and specialized litigation matters. As a former military officer, Mr. West frequently represents military professionals and their dependents during Divorce proceedings. Because of his dedication to hard work and community involvement, Dondi was named one of Maryland’s 40 Very Important Professionals (VIPs) Under 40 by the Maryland Daily Record, and was honored as a Distinguished Historically Black College and University (HBCU) Alumni by Black Engineer & Information Technology Magazine. Most recently, Dondi was named to the 2014-2016 Rising Stars Lists by Maryland Super Lawyers in the area of Technology Transactions. Mr. West is a member of the Board of Directors for INNterim Housing Corporation, which is a nonprofit organization that provides shelter, support, and job training to homeless mothers. Dondi earned his Juris Doctor at The University of Maryland Francis King Carey School of Law, where he was an editor on the Maryland Law Review. In addition, he received a M.Sc. degree in Applied Information Technology from Towson University, and a B.S. in Mathematics from Alabama A&M University. Mr. West holds a Security+ certification and is an Affiliate Professor at Loyola University Maryland, where he teaches a course titled Legal, Ethical, and Global Perspectives of Cybersecurity.